So they scheduled me to have an endoscopy. Can anyone share their experience with me? 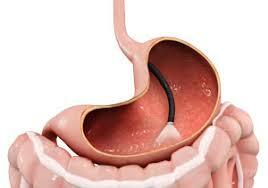 Home » acid reflux » Gerd » Medicine » So they scheduled me to have an endoscopy. Can anyone share their experience with me? Hi everyone, so they scheduled me to have an endoscopy in a couple weeks to check for a few things and take biopsies. Can anyone share their experience with me? They told me to have someone pick me up and that the procedure only takes 10-20 minutes but to plan on being there 2-3 hours depending. Even after having two babies, I'm a huge wimp 😂so just wondering what to expect while they are prepping and after I wake up. Thank you! its all that prep it is nothing to it just tired after. Sore throat for a few hours after was the worst part that's how easy it is. Sedation can stay in your system for 24 hours that's why they say to not be alone but most people are back to reality within a couple of hours but even that is just tiredness. I assure you I was petrified but as soon as they sedated me I was out within seconds and was convinced they hadn't done it because it felt so quick when I woke up. The fear in your mind is not a true reflection of the procedure , you'll be absolutely fine. No problem. I was genuinely petrified, anything to do with meds or procedures and I go into meltdown mode..... but this really does appear worse than what it is. Dave Proctor that is good to hear because I am definitely the same way! Glad it went ok for you! This group helped me a lot before I had mine so hopefully a lot of people will reply stating the same which will hopefully put you at ease a little. It was so easy. I was nervous beforehand but it all happened so fast and the sedation was pretty light compared to even my colonoscopy. I didn’t feel or remember a thing but woke up feeling pretty decent - and i am not in best of health. It really feels like it’s over as soon as you nod off. And I felt SO rested when I woke up, like I had just had 12 hours of great sleep. I kept insisting that I would be fine to drive home (which was definitely NOT the case...I started nodding off on the way while my husband drove and took several naps that afternoon). I did throw up a small amount soon after coming out of anasthesia (turns out I have gastroparesis and there was still food in my stomach from before the fast). But overall, I felt great and my throat felt a little raspy, but not sore. Definitely nothing to worry about! Is it sedation meds or do they put you to sleep??? Im supposed to have one and after 3 children and 2 losses one causing a 1st time surgery I too am scared to death to do this!! They called it “twilight sedation” - they actually gave me intravenous Benadryl. I was surprised that it would be enough but I was out like a light only I don’t feel as groggy when I woke up as i did after a surgery. You will be fine, your in the best of hands. From my experience, I would highly recommend that they put you to sleep. The hospitals do these all the time, and not to worry. Intravenous drip makes you drowsy and puts you nicely to sleep for what seems like a short nap. You wake up in just a bit and "wally" it is over. I found that it was a good experience. Thank heavens for the sedation. Do not fret, you will be in good hands and will do well. The 2-3 hours (partly like downtime) ahead of time is sometimes what it takes to get all your information, get you all set for the procedure etc., I believe that amount of time is very routine. I had one Tuesday. Very quick. Only pain was a slight prick as they inserted the IV. A short time later I woke up and felt as if nothing happened. I was groggy and needed an afternoon nap. But first my hubby took me out for Brunch. After the nap I was just fine. Do not worry. It is simple. Also I filled out most of the forms for meds I take and past health issues on the internet. I was at the Surgery Center about an hour total. I was very worried about my endoscopy. But it was quick. They take you in. Take your vitals. Then you change, they start IV. You wait for your turn. They take you in. The process takes less than 10 mins. They sedate through IV. You don't know anything after that. You wake up in the recovery room. That's all. You change again and go home. They ask you to bring someone who can drive you home because you are sedated and might be sleepy. When they take you in the scope room/area, after they insert the IV and do vitals, they'll have you rotate and lie on your left side. Just before they push the drugs through the IV, they'll place a hard plastic protector in your mouth and have you bite on it. It's a little like the protectors athletes use. That's the last thing you'll remember. Don't worry, you will be in and out in no time. My throat did hurt a little when swallowing after I got home but that went away by the next day or so. Mine wasn’t so great. First nurse couldn’t put the IV in right and blew out my vein. Then I woke up mid procedure choking on the scope and had to be given more anesthesia. Alyssa Whitebone I didn’t ask, I feel I generally have a higher tolerance to medications though so that could be why. Allison Maahs I'm sorry that happened to you! That must have been really scary.